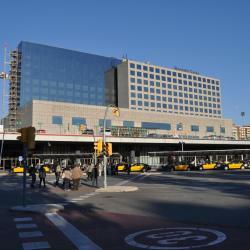 Looking for hotels near Paral·lel Metro Station? Hotel Brummell is a 20-room boutique hotel located a few steps from the Miró Foundation and The Grec theater. Guests will benefit from free and unlimited yoga classes. Pool area with sauna was a relaxing bonus in this tiny hotel. Great atmosphere. Daily yoga. 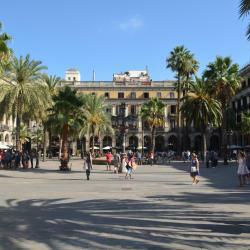 Set on Plaza Reial and just off Las Ramblas, Hotel DO Plaça Reial features a spa, a rooftop pool and stylish rooms. 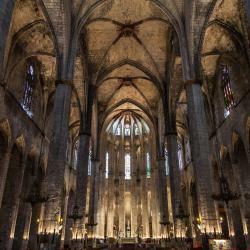 Bars and cafés can be found in the square and in the surrounding Gothic Quarter. Excellent central location. Wonderful room quality. The modern Hotel Grums is located in central Barcelona, 5 minutes' walk from Barcelona’s port, ferry terminal and cruise terminal. The hotel was up to par with fine hotels in Europe and the USA. Hotel Cantón is located in central Barcelona, less than 984 feet from Las Ramblas and the city’s Old Port. It offers 24-hour reception and rooms with satellite TV and free Wi-Fi access throughout. Small but clean rooms. Good WiFi. Close to the city center. Barcelona House Hotel is in Barcelona’s Gothic Quarter, 260 ft from the Ramblas. 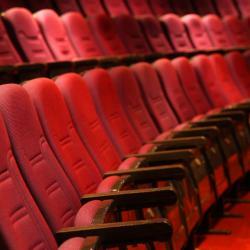 The hotel has modern, air-conditioned rooms with hardwood floors, free wired internet and a flat-screen TV. Excellent location. Staff friendly. Rooms cleaned daily. Hotel Call Barcelona is located right in the center of Barcelona’s historic Barri Gótic, 10 minutes' walk from Las Ramblas. 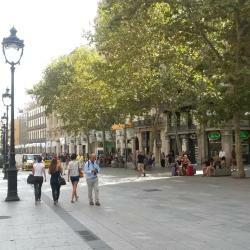 It is close to Plaça Sant Jaume and not far from the Cathedral. Great safe location and very quiet! 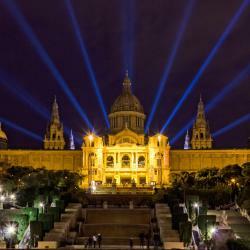 Hotels with great access to Paral·lel Metro Station! Located in Barcelona’s Gothic Quarter, Hotel Catalonia Port has a modern gym and a sun terrace with a small seasonal outdoor pool. The hotel was fantastic very modern. The staff are brilliant nothing is too much trouble for them. Barcelona Universal offers free Wi-Fi, a gym and a rooftop pool with city ciews. 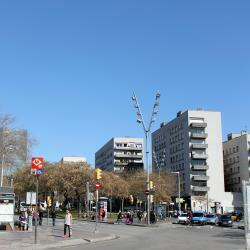 Located next to next to Parallel Metro Station, the hotel is just 1969 feet from Las Ramblas. The staff is friendly and willing to help. Our room was very comfortable and clean. Hesperia Barcelona Ramblas is set in the center of Barcelona’s old town, a few yards from Las Ramblas. This stylish hotel features free Wi-Fi access and rooms with satellite TV. Location is perfect. Next to Rambla, metro and market.